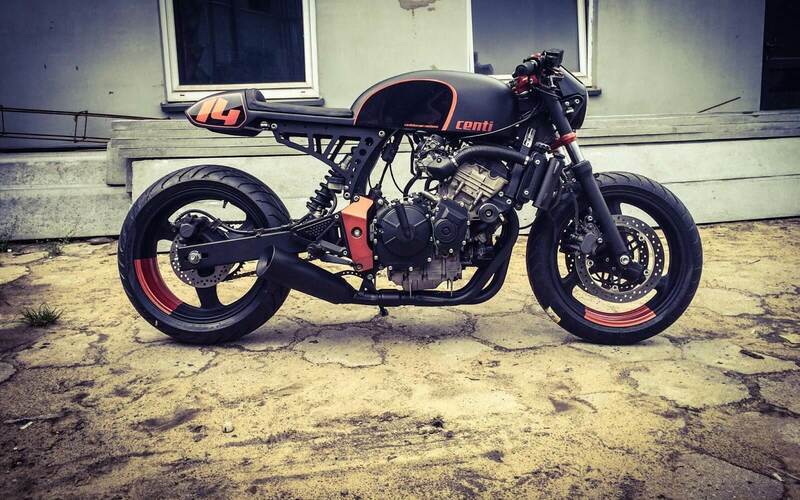 How to make a boring Honda Hornet cool? Make it retro! I personally believe – that we will be seeing more and more of this kind of “retro-mods” in the future. I’m honestly quite surprised that no workshop has proposed a “kit” to modify a stock Hornet to look like a classic. Hornet is quite easy to customize – as the frame is completely hidden, so there is no need to work with a big chunk of aluminum that for ex. Yamaha uses with FZ series etc. 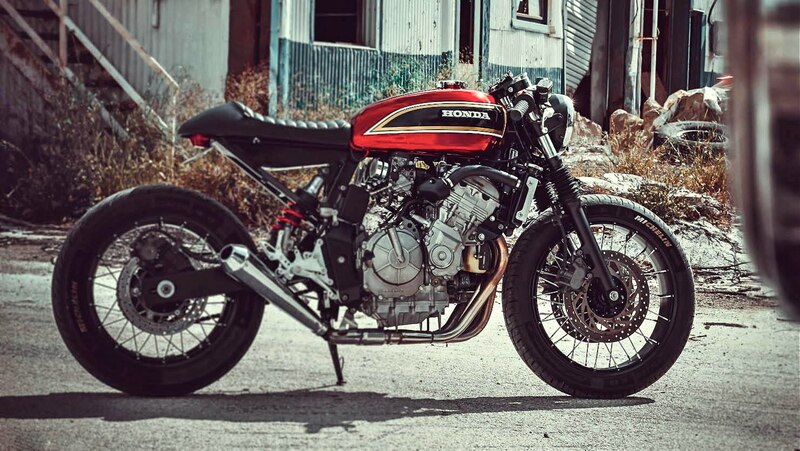 This makes Honda a good base to modify with some manageable amount of work, to become a “daily ride” with a retro vibe. 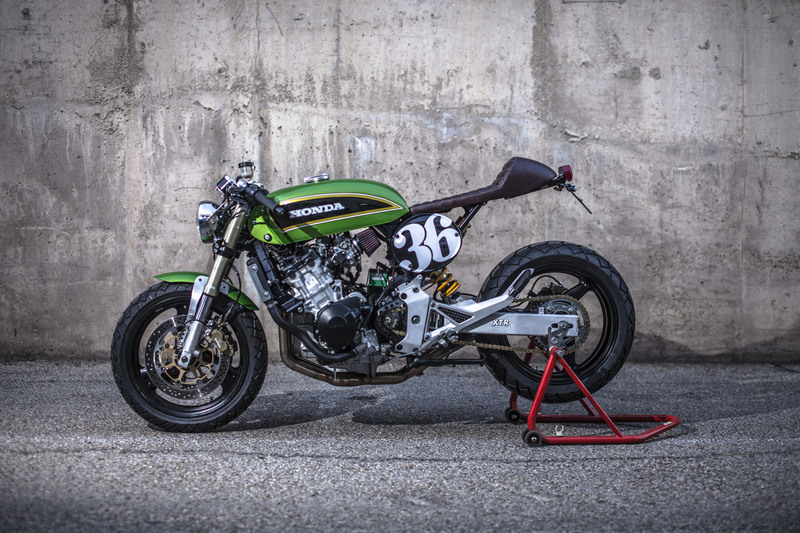 Check out 5 selected Honda Hornet cafe racer builds… to inspire. Quite spectacular example of a minimalistic approach. 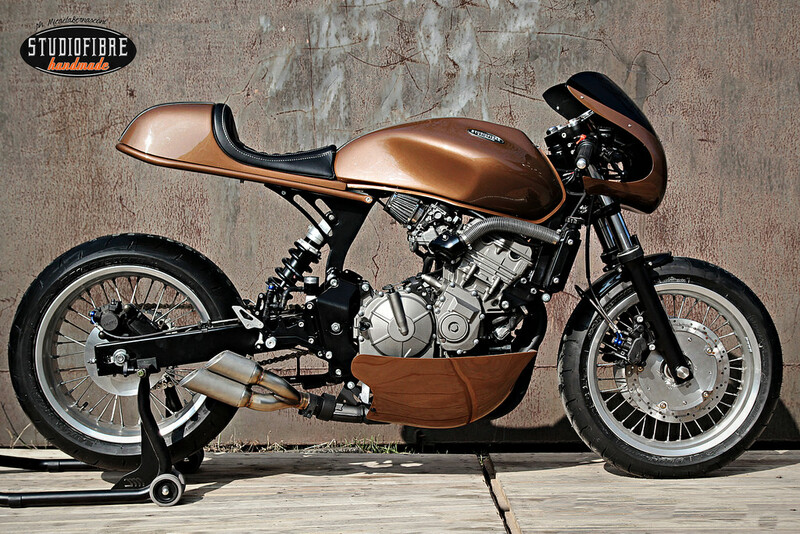 XTR Pepo did focus on the details for this 2001 Hornet. Actually, this one is one of two Hornets released by them. And it’s a mix of different parts. 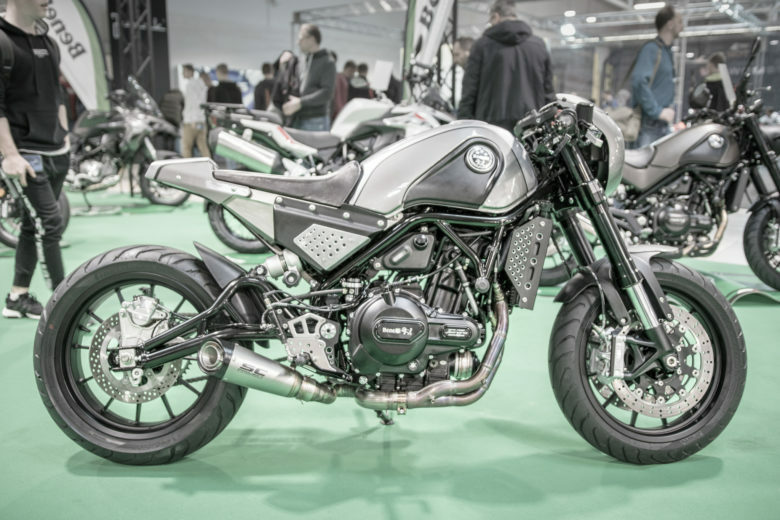 The front end is from a Ducati Monster. The mudguard from a BMW R NineT (I love the metal bracket). The subframe is super lightweight, but the tail is quite long. They left the passenger foot pegs on – is it still a 2 seater? 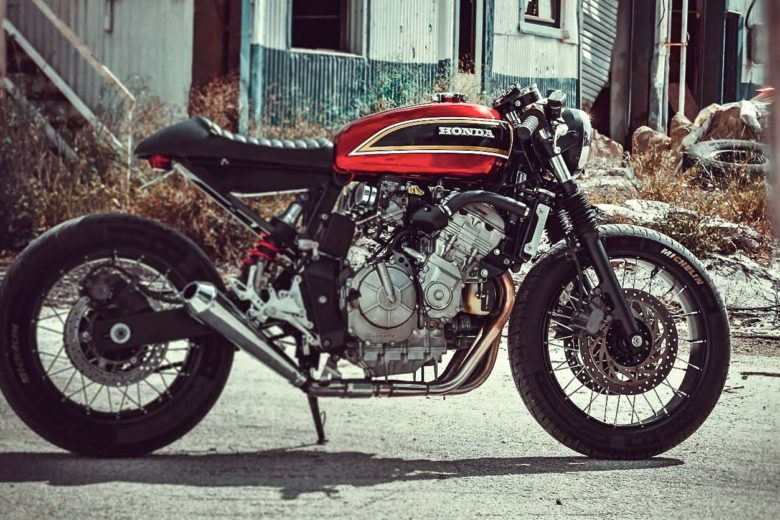 The classic Honda inspired tank paint is a nice touch. 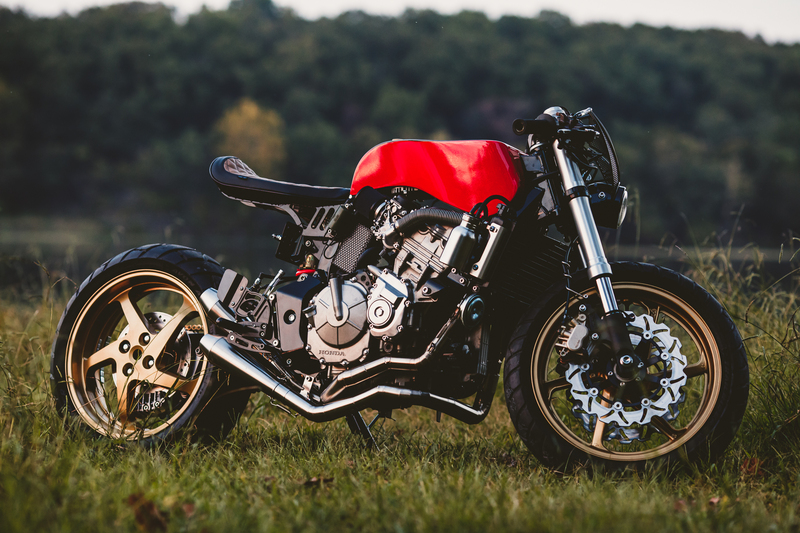 The bike that came shortly after the Quintessence build. 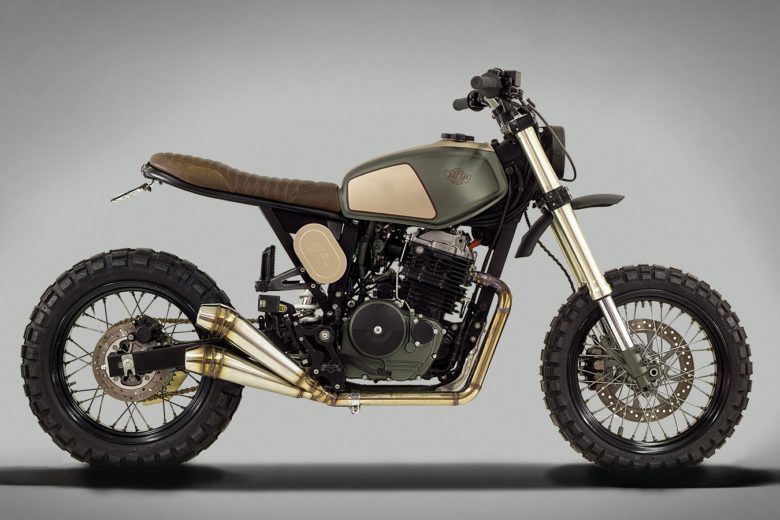 Obviously inspired by the tank/seat line of Suzuki. As usual with Cardsharper Customs: it was handmade from scratch (tank and seat are one piece) and the tail section is supported by custom made sub-rame. Black matte combined with red/copperish accents… The effect is not quite retro – but no doubt – good looking. The only thing I would change – is the radiator hose. It’s a tough one, but some metal or a silicone color accent would help here. I think that this one is the most recognizable Hornets build. Very similar to the first one listed, this one actually was released earlier. The tank paint job is almost exactly the same, just red 🙂 What I like is that the seat is shorter… and those spoked wheels! You cant go wrong with that. What I don’t like is this black blob under the seat – I wish they found a better place to fit the battery in. This one was presented here almost a year ago. I have mixed feelings about it. It definitely makes a point – as Studio Fibre tried a different approach here. 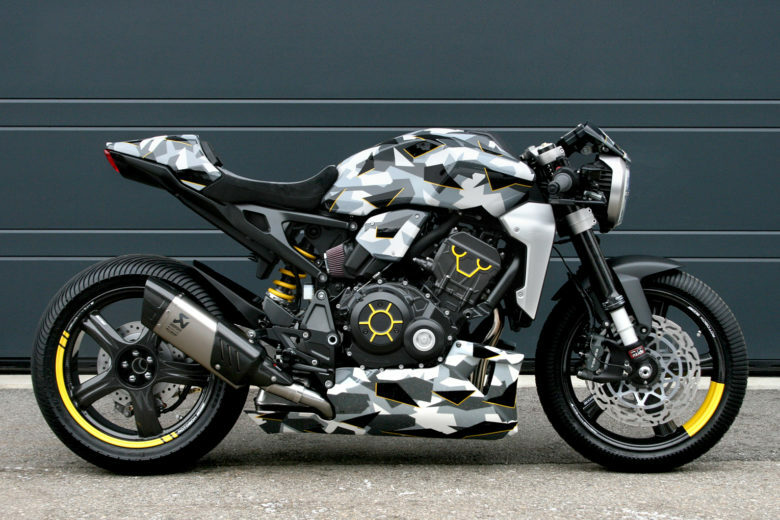 Without losing the ugly tank, they gave the bike some unique touch. I like the wheels and the fairing. The color choice is quite brave. The whole concept is modern, but the belly pan and the original tank don’t work for me. 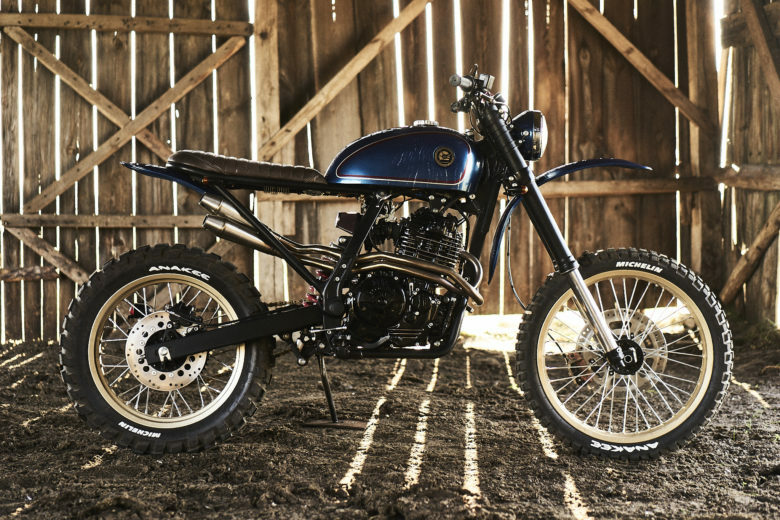 The classic cafe racer seat just begs for a classic tank here. At the highest echelon of elegance, Rosso Corsa takes the gold. Inspired by Ferrari racing heritage, this shredder of tarmac is a conglomeration of the finest race components. A hand fashioned gas tank exhibits flowing yet stark lines honoring the 1965 Lemans racing Ferrari.